作者: The AsiaN Editor on 28 October , 2016. 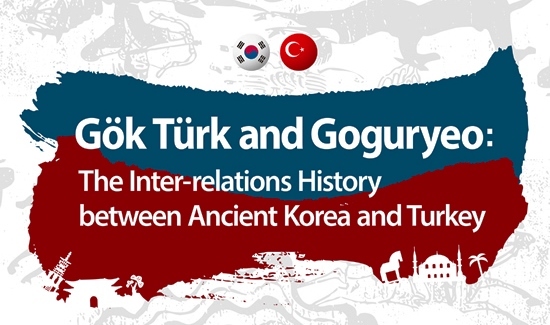 Turkish History Foundation and Northeast Asian History Foundation organized “Gok Turk and Goguryeo: Second Turkish-Korean Historical Relations Forum” between 25-28 October in Seoul. The distinguished historians discussed the ancient relations between the two nations and historical documents in Chinese, Korean and Turkish sources. The opening remarks were made by Prof. Refik Turan (President of Turkish History Foundation), Lee Hyun-ju (Secretary General of Northeast Asian History Foundation), Prof. Derya Ors (President of Ataturk High Institution of Culture, Language, and History). During the forum, two sides pointed out the importance of archaeological excavations in Eastern and Central Asian regions, linguistic studies between Korean and Turkish languages, historical archival researches, and student exchange programs. Famous historians Ahmet Tasagil, Ali Merthan Dundar and Erkin Ekrem made presentations on ancient Turkish-Korean relations in the 6th century that is defined as the starting period of the brotherhood. They said the Gokturk and Goguryeo powers consolidated strategic ties in order to avoid threats posed by the Chinese Sui and Tang dynasties. Turkish and Korean historians addressed the importance of Gokturk-Goguryeo partnership and modern Turkey-Korea brotherhood. The forum started with the initiatives of Turkish and Korean institutions in 2015 and the first forum was held in Ankara last year.